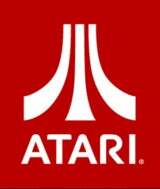 I half imagine Atari's board of directors has a sticker on its windshield reminding it to change CEOs every 5,000 miles. Sure enough, it's happened again. Former chief operating officer Jeff Lapin is now in the top job. The publisher of Star Trek Online gave no reasoning for the switch, only saying outgoing CEO David Gardner will remain with the company as a member of the board of directors. He had been the honcho since January 2008, taking over for Patrick Leleu, who had been CEO for only nine months. Leleu had succeeded 24-year CEO and Infogrames (as it was known then) cofounder Bruno Bonnell. Lapin was Take-Two Interactive's CEO in 2003 and 2004 and was also an exec for THQ. Gardner was known for hiring former Sony VIP Phil Harrison to be Atari's president. Harrison stayed in that gig for a year.